Kudos to Rabbi Hayim Herring and the folks at STAR, Synagogues: Transformation and Renewal, for their new series of reports for and about synagogues. Acting Strategically: A Manual for Synagogue Planning is an excellent manual for synagogues (and other congregations) to use for long range, strategic planning. 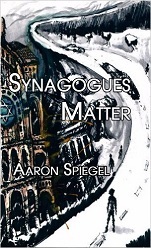 This report contains more inforamtion about synagogue planning than many books on the topic! Consulting in American Synagogues: A Report on the State of the Field is just what the name implies – a review of what synagogue consultants do. The report also includes very important information about how to assess a synagogue’s readiness for using an outside consultant. STAR follows that up with a list of practitioners in Preliminary Annotated List of Synagogue Consultants. Congregational consulting is a very new field. The church world has been doing it for less than 30 years and synagogues even less. While it’s a burgeoning, somewhat immature field!